When you make out your shopping list each week, it’s our hope that you find the Coupon Match that comes out on Wednesdays as a guide. This lists all the sale items from the printed ad, and some additional information. 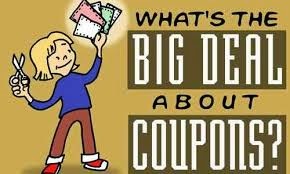 We also list the in ad coupons, and how to best match them to Manufacturer’s coupons, and the Unadvertised deals. Did you know we list out Web specials online each week? It’s so that you can see more opportunities to match up coupons to sale items. We only have room for about 160 items to make the printed ad, but we put additional items on sale. Only the best deals make the listing. Usually, there are about 15 coupon matches in the list, and about another 15 store brands that are cart worthy. The only way to get this list is to visit the blog at countymarketcouponnews.com You can also sign up to have the Wednesday blog delivered to your inbox each Wednesday at 7pm. Personally, I like to make out my shopping list on Wednesdays so I’m all ready to shop on Thursday. The web specials are always added to my list. This give me time to presort my coupons. The other types of Unadvertised sales include the Monthly Price Cut items. These are listed in a publication called the Buyer’s Guide and is available at Customer Service. I always scour the clearance carts at the front of the store. We have two in our store. Last week, they had Celestial Teas for $1 and I had $.75 coupons. Deal!